Embrace the summer season with accessories inspired by your favorite finds from the farmer's market. 1: Carrot towel, available at Marketplace at the Abbey. 2: Radish towel set, available at Marketplace at the Abbey. 3: Drop the beet towel, by Knollwood Lane, available at The White Rabbit. 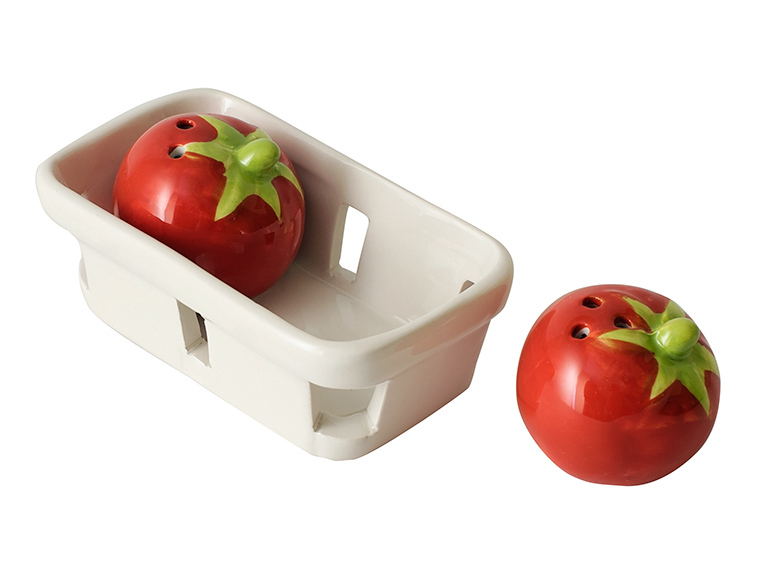 4: Tomato salt and pepper shakers, available at Christopher's. 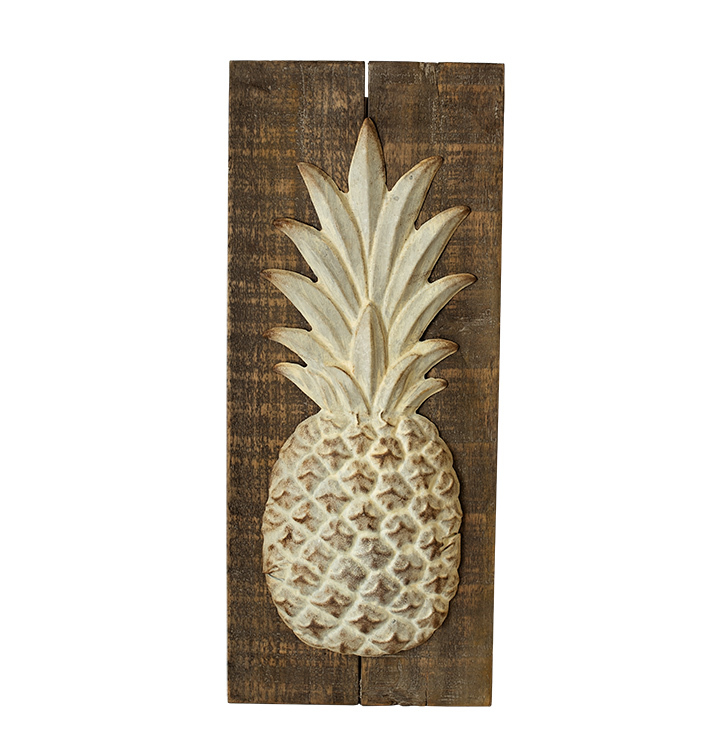 5: Wood-and-metal pineapple wall decor, available at The White Rabbit. 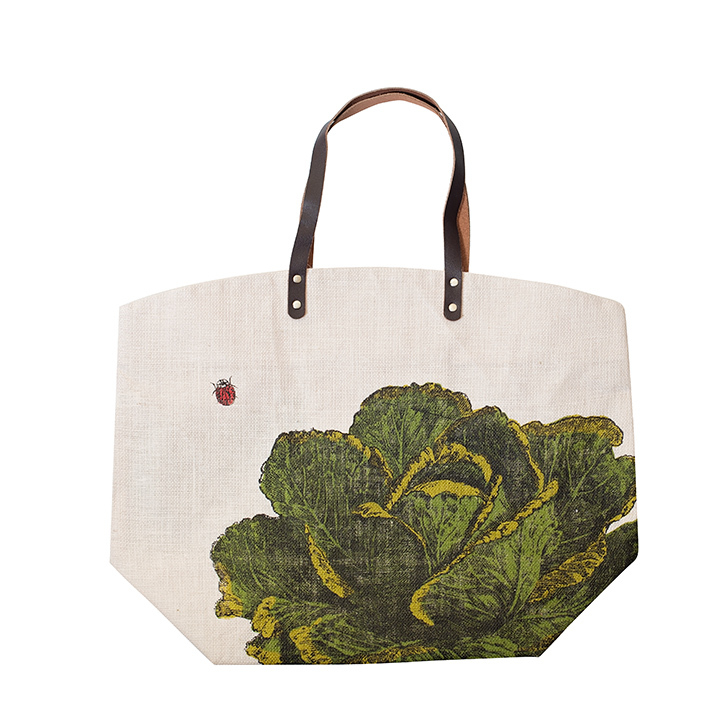 6: Farm-to-table market bag, available at Christopher's. 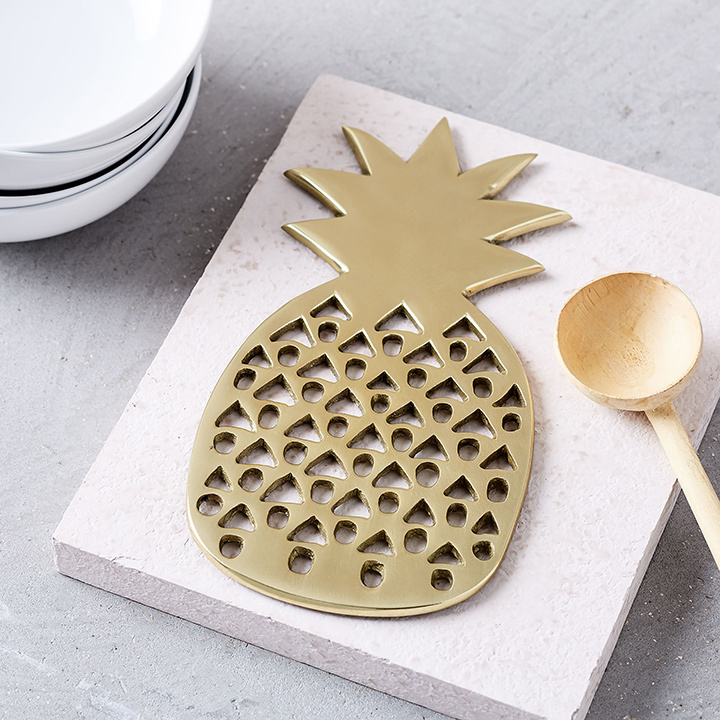 7: Pineapple trivet, available at West Elm. 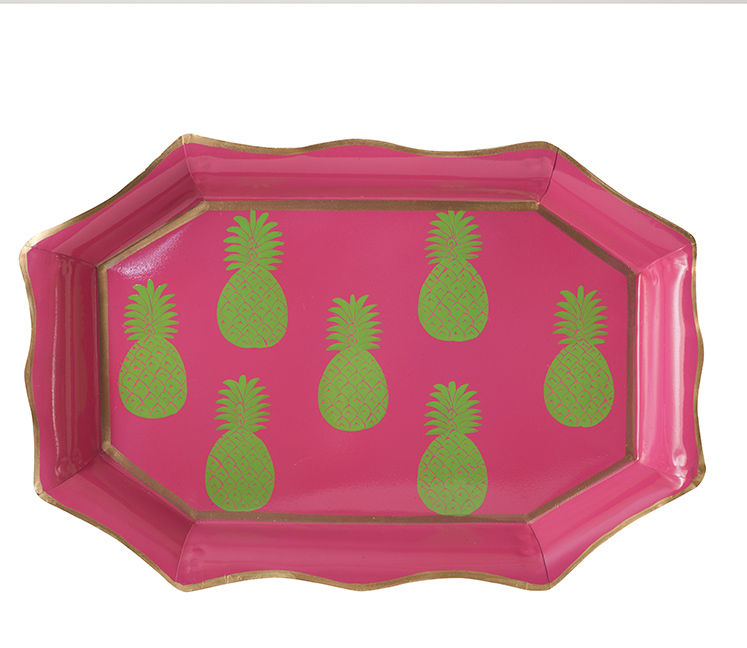 8: Pineapple tray, available at The Rusted Chandelier. 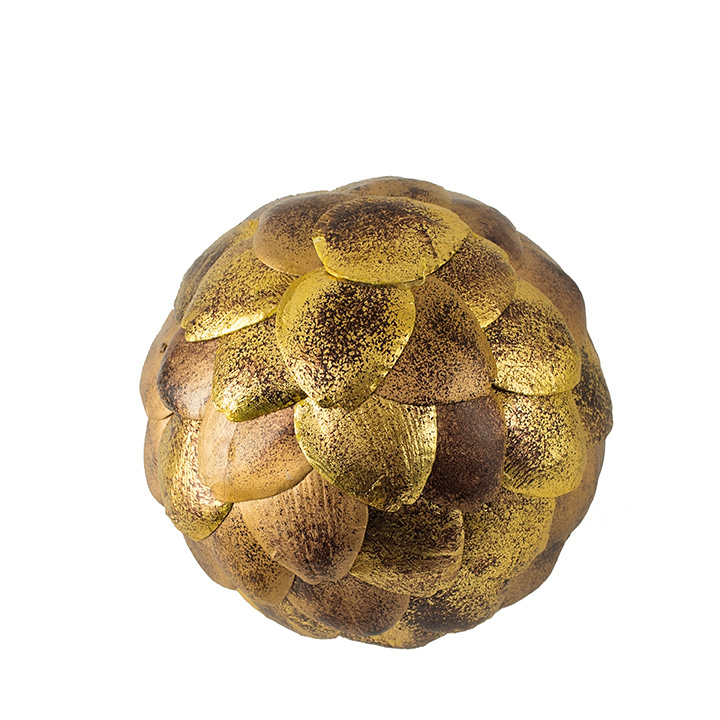 9: Artichoke ball, available at The Rusted Chandelier. 1: Carrot towel, available at Marketplace at the Abbey. 2: Radish towel set, available at Marketplace at the Abbey. 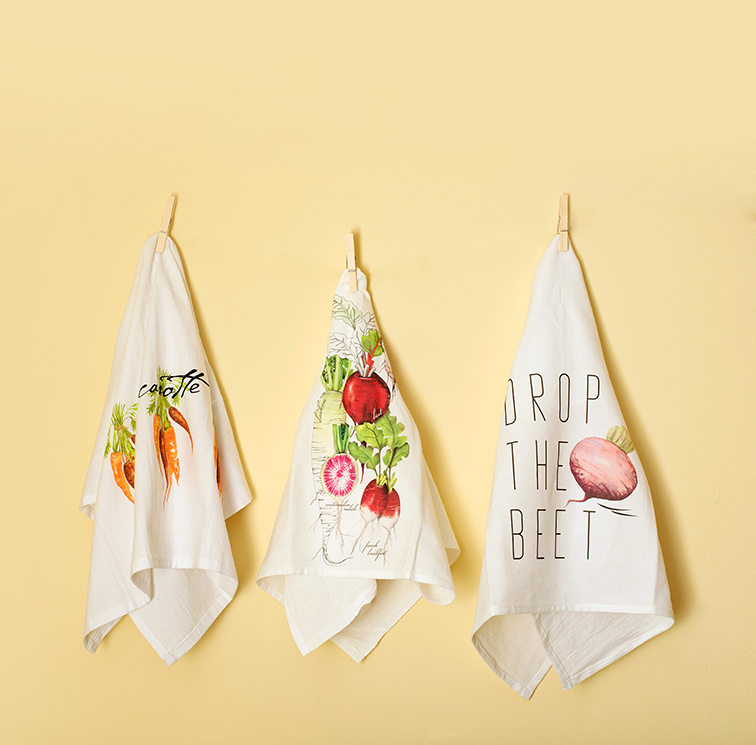 3: Drop the beet towel, by Knollwood Lane, available at The White Rabbit.